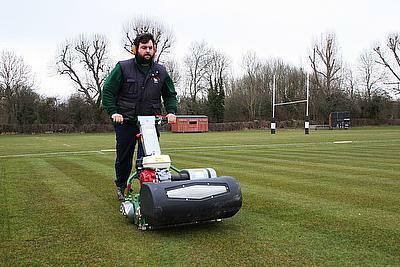 After Richard Ayling, grounds manager at Merchant Taylors’ School, drew up a shortlist of new potential machinery to purchase, the Dennis Razor fine turf mower saw off competition to receive a unanimous vote from himself and his team. The illustrious Merchant Taylors’ School in Hertfordshire has a glowing reputation for good reason. It boasts first-class results both in the classroom and outside on the magnificent playing fields. The site in total including the prep school is approximately 280 acres and that comprises of 80 acres of sports fields on the main school site, 20 acres on the prep school site while the rest of it is made up of buildings, lakes, lawns and woodland. In managing the maintenance and upkeep of this vast area, it is safe to say that Richard, who has been working at the school for nearly 23 years, certainly has his work cut out. 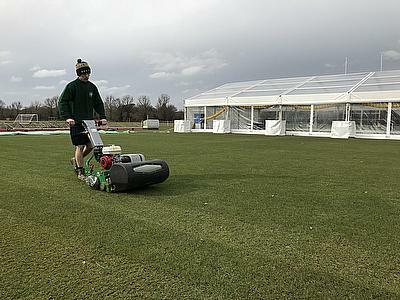 He heads up a team of ten which consists of groundsmen and gardeners – all of whom play a vital role. Therefore, when it comes to purchasing new machinery, Richard insists that it must be a team decision. 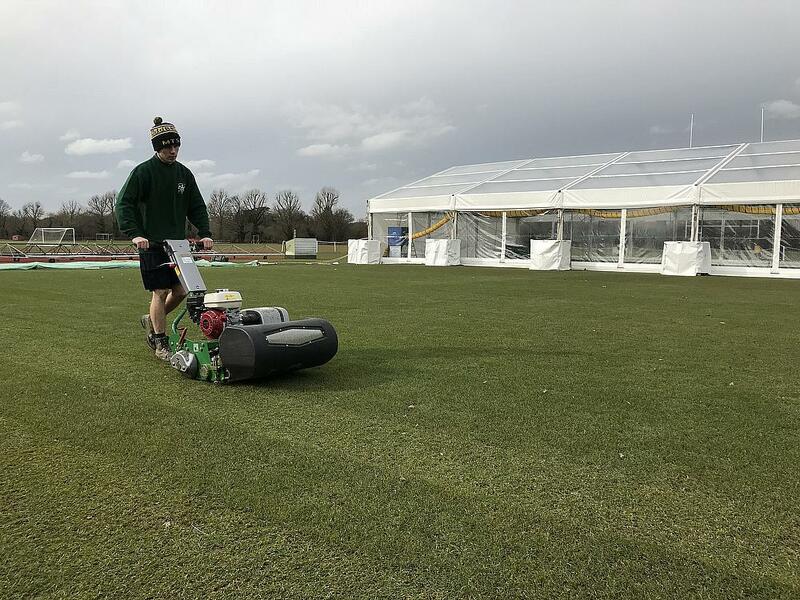 Superbly balanced and ideal for cricket pitches and other fine turf surfaces, the Razor features a 560mm (22in), 11 blade cutting cylinder for a perfect finish. An ultra-short wheelbase ensures easy manoeuvrability and excellent performance, even on undulating surfaces. The Dennis Razor encompasses the simple ‘no tools required’ click height adjusters for quick and easy operation, a feature which particularly struck a chord with Richard and his team. 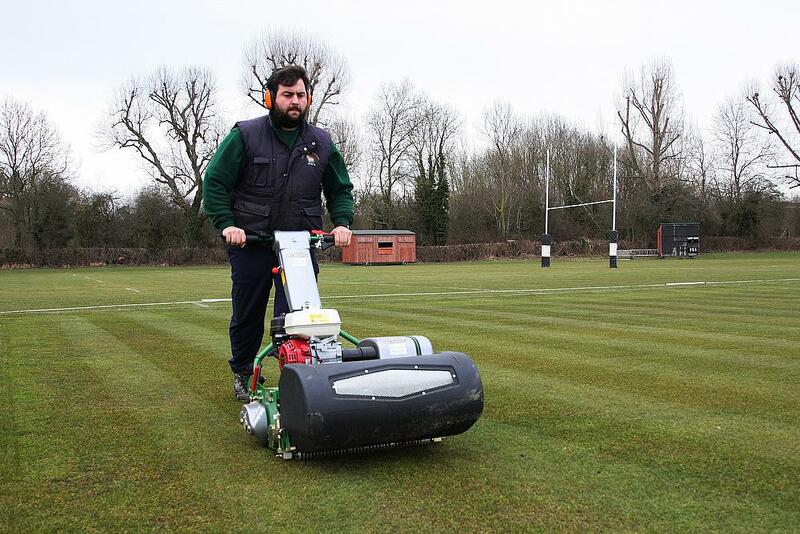 Richard purchased four Dennis Razors – one for the school’s lawn areas and three for cricket pitch preparations. The team normally start using the Razor 8-10 days prior to a game taking place and Richard was quick to praise the machine’s quality of cut.